The malar fat pad is one of several discrete pouches of fat in the cheek. When gravity takes its inevitable toll, the malar fat pad migrates downward, producing a hollowing in the mid-facial area, contributing to the development of jowls and accentuating the process of aging. Often, this is one of the first facial features where the effects of aging become apparent. Around San Diego, malar lift, a less extensive procedure than the traditional facelift, is becoming popular, particularly with individuals in their 30s and 40s who wish to get a head start holding back the years. 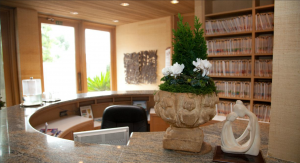 Located north of San Diego, malar lift La Jolla at the SK Clinic is a specialty of ours. We have performed hundreds of these procedures and achieved outstandingly natural-looking results. 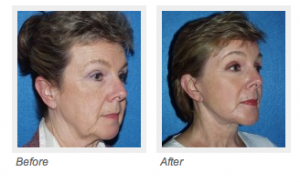 You will find that malar lift San Diego is often referred to as a mid facelift. A mid facelift in San Diego begins with a tiny incision in the lower eyelid, right where you apply your eyeliner. Unlike a traditional facelift, the surgeon cuts down deep into the facial muscles. This enables him to elevate the cheeks as well as the muscles around the nose. Mid facelift La Jolla is sometimes performed at the same time as an operation on the lower eyelid. The midface region is difficult for the surgeon to access without the aid of an endoscope. This instrument has an optical fiber lens that allows the surgeon to visualize the work that is being carried out beneath the skin. Performing a mid facelift la Jolla in this manner improves precision and reduces recovery time. While patients should expect the same amount of swelling and bruising as with a traditional facelift, the malar lift La Jolla style involves less bleeding and produces fewer visible scars. Patients often opt for a mid facelift in San Diego when they want to make their cheekbones more prominent, tighten the jowls and de-emphasize the prominent crease between the nose and the outer corners of the mouth. A mid facelift La Jolla is the perfect choice when you want to improve the appearance of the malar area when the neck and area beneath the chin do not require attention. For more information about our mid facelift, San Diego clinic, contact one of our friendly associates today.